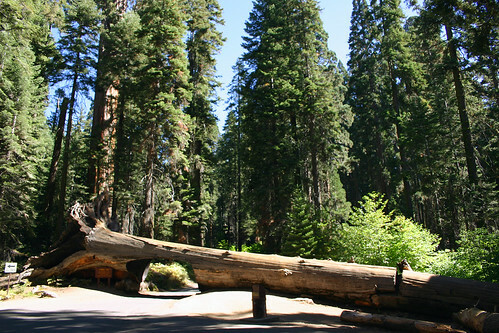 In December 1937, an unnamed sequoia 275 feet high and 21 feet in diameter fell across the Crescent Meadow Road. The following summer, a Civilian Conservation Corps crew cut a tunnel through the tree. The tunnel is 8 feet high and 17 feet wide. Rachelle drove our rental car through Tunnel Log. 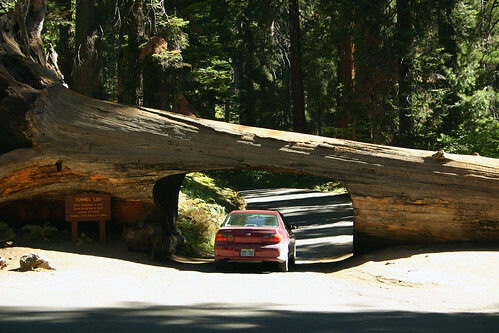 This entry was posted on March 28, 2008 at 8:42 pm and filed under California, Giant Forest, Giant Sequoias, Sequoia National Park, trees, Tunnel Log, vacation.